This recipe was inspired by my research into selenium and the desire to ensure I was consuming a diet rich in this mineral. Normally, Falafel is made with Chickpeas, which are lovely also, and fried. This recipe replaces the chickpeas and you bake it in the oven, tasty and healthy too – #REAL #FOOD. I love this recipe as do most of the people I have introduced to it. You serve them as part of a brunch, lunch, dinner or finger food for a party. They are easy to make and freeze well. I love that you bake these in the oven instead of frying. To make the tahini dipping sauce, place all the ingredients in a food processor with 2 tablespoons of filtered water and blend until smooth and creamy. 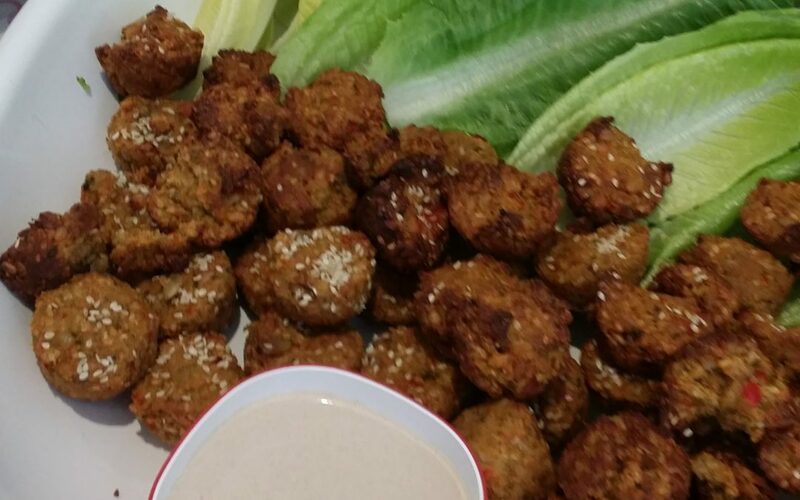 Place all the falafel ingredients, except the sesame seeds and lettuce, in a food processor and pulse until thoroughly blended (yet still with texture). Use your hands to shape into round balls. Roll in the sesame seeds, transfer to the baking tray and bake for 20 minutes, or until crispy. 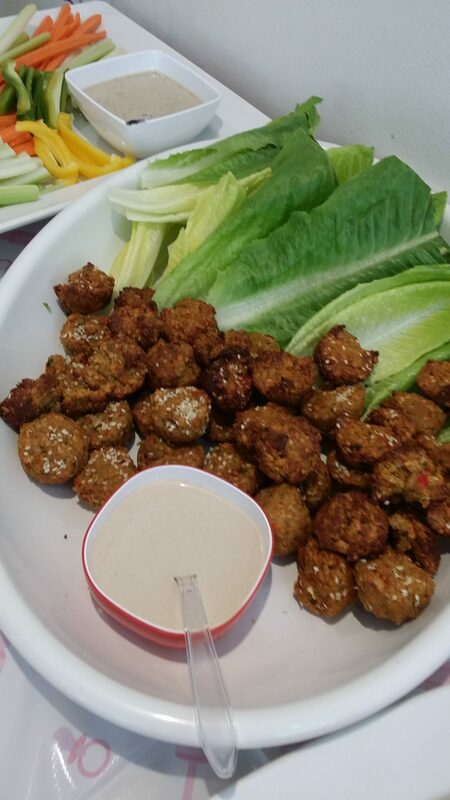 Serve in a lettuce leaf and dress with the tahini dipping sauce. Tahini is rich in minerals such as phosphorus, lecithin, magnesium, potassium and iron, a good source of Methionine, which aids in liver detoxification, one of the best sources of calcium and is high in vitamin E vitamins B1, B2, B3, B5 and B15.